Easy Lemonade Scone Recipe – for when friends drop by! 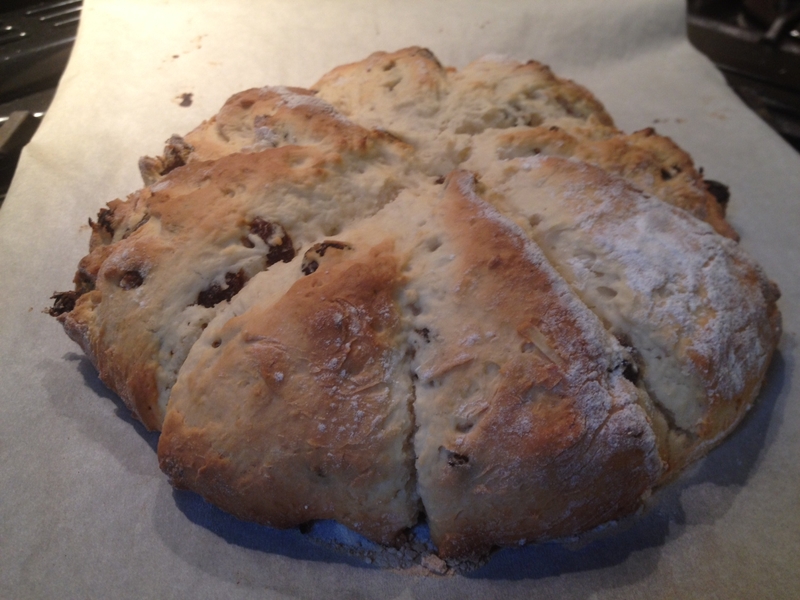 I call this recipe my ‘Hurry-Up Scones’. I have much fancier recipes that call for delicate hands, careful measuring and so forth. But I don’t have time for that today. The phone has rung, friends are on their way, and my cake tin is woefully empty. Hurry-Up Scones to the rescue! Ingredients: 2 cups self raising flour, sifted, 1/4 cup of castor sugar (optional), 1/2 cup of cream, 1/2 cup of lemonade. Method: preheat oven to 200 degrees celcius if fan forced, or 220 degrees celcius if not. You want a hot oven so the scones get a good rise. Sift dry ingredients into a bowl, add wet ingredients and mix lightly with a metal spoon to combine. Tip onto a floured board and pat out with your hands to about 4cm thick. Cut into squares with a floured knife and place on tray leaving room for spreading (I line my tray with baking paper), or form into a round on tray and slice into wedges with a floured knife. 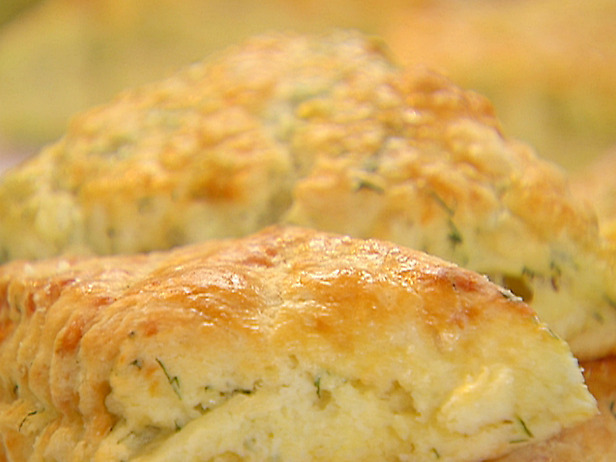 For individual scones, bake for 10 to 12 minutes until golden brown. For the round, leave for 20 minutes, but drop oven temperature to 180 degrees after the first ten minutes. Sweet – add a handful of sultanas and a dash of cinnamon or grated lemon rind, or a handful of chopped seeded dates softened in a tablespoon of hot water. Savoury – substitute soda water for lemonade. Add a handful of grated cheese and some fresh dill or parsley (see picture below), or a handful of crumbled fetta, chopped sundried tomatoes and a little fresh basil. Today I made one batch of sultana scones, and one of cheese and herbs. 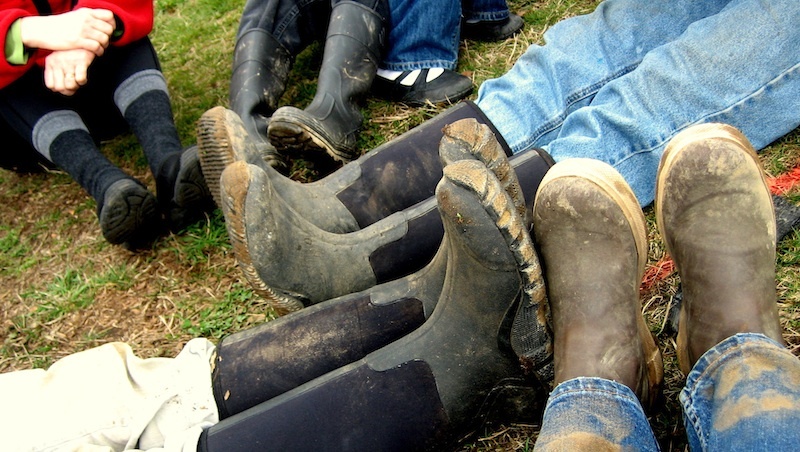 We feasted after a walk around the wet farm in our boots. A hot cup of French Earl Grey tea and some scones in our belly, good conversation and shared laughter and we were ready for the rest of the day! This entry was posted in Cakes and desserts, Life and tagged baking, cooking, easy baking recipe, easy scone recipe, easy scones, food, friends, friendship, herb scones, lemonade scone recipe, lemonade scones, lunchbox filler, quick snacks, scones and tea by Cauldrons and Cupcakes. Bookmark the permalink. Yum! The photo’s say it all … they look very good! 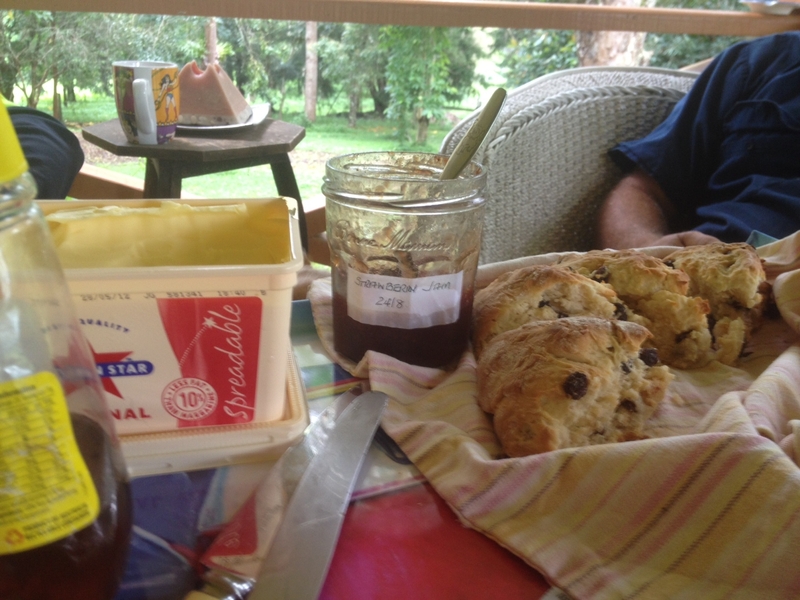 We were in need of scones and tea after our walk. It was such a cool and muddy day. We sat on the verandah in our socks for the tea party! Lemonade in scones? You mean fizzy lemonade? I’ll need to try these, that’s very different from the recipe I use. Is the cream single pouring cream? They certainly look delicious and I love the idea of the feta and herb ones. How intriguing, well I really must try this out some time, thank you. Hmmm, perhaps a saynora recipe to try. Love the idea of the ginger beer (along with some crystallised ginger pieces and dates *drool*). Easy recipe + friends in boots ftw! given a dozen gorgeous lemons I can see the “lemon butter” already in the jar………..
Everybody seems to have some variation, which makes its interesting to taste. Also the Scones made with lemonade I have tried before and they too are yummy! Can’t beat the “homemade” products, do you agree?